Classes are 2 hours and are led by highly trained instructors who are friendly and patient. The instructors will tailor the sessions to those attending and make sure the training is fun too. For further information and to book a place, email uokcycle@cyclingage.co.uk . CyclingAge also runs Dr. Bike drop in sessions every Wednesday between 8:30am-3pm at West Oast Cycle Garage in Park Wood, Canterbury campus. Drop by to have your bike checked over for FREE by experienced bike mechanics. 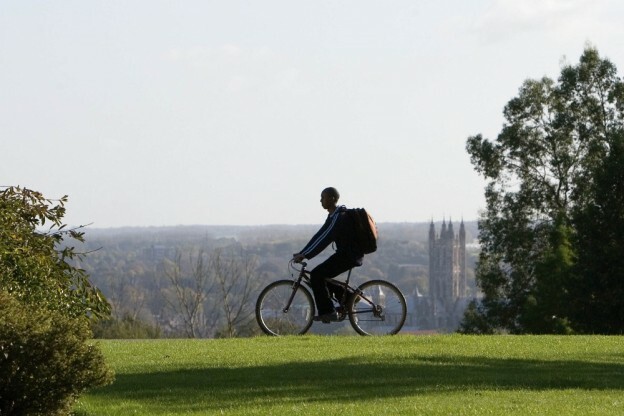 Dr. Bike now has 5 courtesy bikes so you can “Park” your bike at West Oast “and Ride” back to central campus. Dr. Bike will be visiting Medway campus next term. Follow @unikent_travel on twitter for updates of when this will be. For further information visit our cycling webpage . This entry was posted in News on November 19, 2015 by Miriam Sandiford. Starting next month (Monday, December 7), the UK’s largest coach operator is to begin turning the wheels on the new round-the-clock straight-to-the-terminal service – which will be the only means of travelling between Gatwick and Kent direct via public transport. The service calls at both University of Kent campuses, stopping at Keynes Bus Stop, Canterbury and Dock Road, Medway. Pick up and drop off points will include Canterbury, Chatham, Gillingham, Maidstone, Margate, Broadstairs and Ramsgate. Travel times will be up to 45 minutes quicker than their rail counterparts, all of which involve at least one change. The dedicated National Express service will serve both terminals from locations throughout Kent up to eight times a day, with journey times taking as little as an hour with tickets on sale now. “With so many passengers and employees regularly travelling between Gatwick and Kent we are delighted that National Express will be providing a direct transport link. By increasing connectivity with Kent and providing the only direct public transport link we look forward to welcoming even more passengers to the airport.” – Gatwick Airport Chief Commercial Officer, Guy Stephenson. National Express is Britain’s biggest coach operator serving over 900 destinations, including towns, cities and major airports across the UK. The coach company operates around 19 million journeys each year, around a third of which are to airports. Online fares start at £5 one-way and the cheapest available fares can be found using their dedicated Low Fare Finder. For further information visit our National Express webpage. This Friday (13 November) will see National Express coming to Medway campus for a photo shoot to promote their new coach service to London Gatwick airport! If you would like to get involved and be in the chance to win return tickets for a coach journey with National Express, go to Central Avenue bus stop at 9am where you will find the National Express coach. 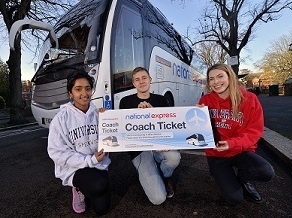 Don’t forget you can purchase a Young Persons Coachcard to get 1/3 off National Express travel. This entry was posted in News on November 12, 2015 by Miriam Sandiford. Travel Plan Survey- have your say! The survey takes around 10 minutes to complete depending on how much information you are willing to share with us. Don’t forget to provide your University of Kent email address in the last question if you wish to enter into the prize draw. You could win £100 food voucher to use within the University’s catering outlets or one of 200 hot drinks vouchers. The data from this survey will be used to update the University Travel Plans, which aim to improve or maintain the transport infrastructure and reduce single car occupancy where possible for next 5 years. If you or your colleagues are having trouble completing the survey, please do not give up as your opinions are important to us. Contact the Transport Team, Estates Department and we will assist you. This entry was posted in News, Uncategorized on November 9, 2015 by Miriam Sandiford. This entry was posted in News on November 6, 2015 by Miriam Sandiford. WIN a FREE full bike service by visiting Dr. Bike at Canterbury Campus. 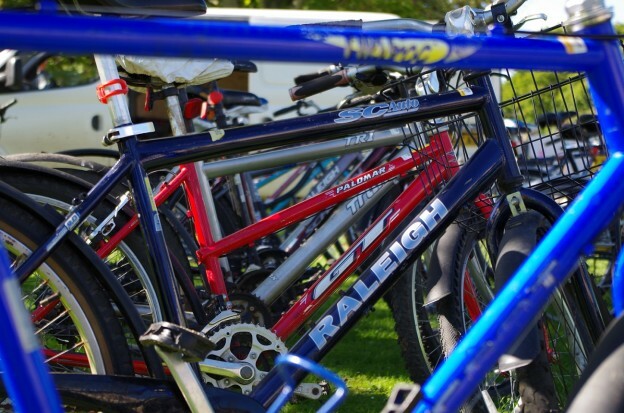 On 4th November drop your bike off at the West Oast Cycle Garage, at Park Wood, (opposite Grounds Maintenance) and get your FREE Winter bike MOT to check your bike over! We recognise that this is not in Central Campus so why not use one of Dr. Bike’s free courtesy bikes to ‘park’ your bike ‘and ride’ back to Central campus. Who is Dr Bike? Dr Bike are experienced bike mechanics from CyclingAge, who work in partnership with the Transport Team, Estates Department to help promote cycling at the University. This entry was posted in News, Uncategorized on November 3, 2015 by Miriam Sandiford. This entry was posted in News, Uncategorized on November 2, 2015 by Miriam Sandiford.